I am SO excited to finally announce the launch of The Everyday Shop!! It’s the newest addition to rachelparcell.com and will live on the site under a separate tab from the Rachel Parcell Collection. This is something I’ve been wanting to do for a long time and we’ve been working on it for months to make it perfect for you! 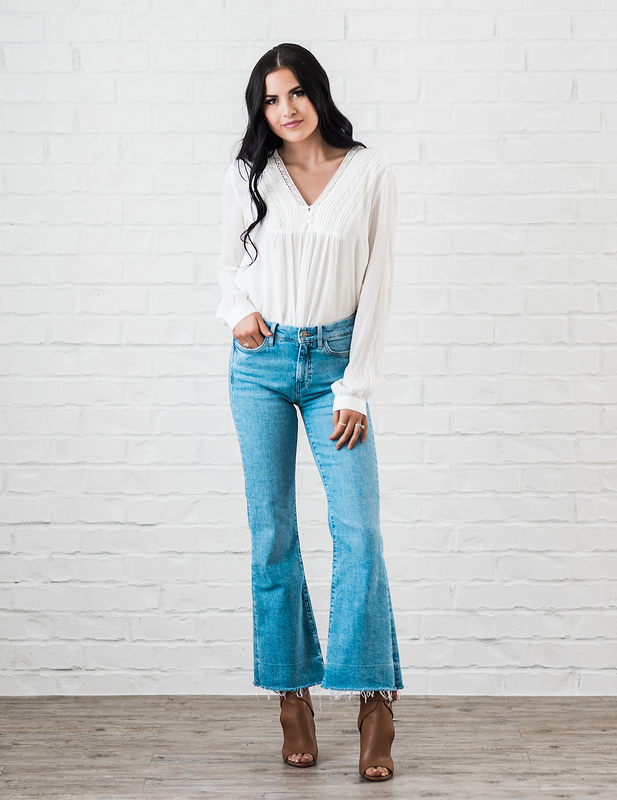 The Everyday Shop is a curated “boutique” of hand-picked pieces by me and the Rachel Parcell team that are affordable, comfortable and versatile. It’s the place that has cute, staple pieces you want to wear everyday! As you know my Rachel Parcell Collection is occasion-wear for church, weddings, showers, events, etc. Every piece from the collection is drawn by hand and we have a technical designer create all the CAD’s and patterns. We create the pieces from scratch by hand selecting fabric, having custom prints and custom colors unique to only the RP Collection. But now with the launch of The Everyday Shop rachelparcell.com has instantly become the one-stop shop where you can purchase both elevated, feminine, custom pieces AND cute and casual pieces that will work with your budget. It’s the best of both worlds! Be sure to follow along on Instagram (@rpeverydayshop) and as always, let me know which pieces are your favorite and any feedback you have! Thank you for your constant love and support. Happy Shopping!! SO excited for this! I think it is so great as a designer and wearer of more high end clothes to acknowledge the need for versatile everyday pieces as well! Can’t wait to follow along with this new addition! Thanks Taylor! It means a lot! What great everyday pieces! Especially love the ruffle top. How exciting! Congrats on this new collection! Thanks Amber! We are excited about the shop! I need the knit from the third photo! Perfect! Thanks Enn! I love that one too! Oh my goodness I love this so much, congrats!!! Congrats – can’t wait to add a few of these staples to my collection of your work dresses. I was looking around the site this morning and also wanted to thank you for showing the pieces on a variety of body types. This helps so much since I am personally a little taller and a lot curvier than you. I think its wonderful that you are showing that all types of women can look beautiful and also helps me with sizing and fit as I make my selections. Thank you! How exciting Rachel! Being a college student with a tight budget I am excited for this everyday collection. Love your style girl! Loving every piece in the collection. Swooning over the Beige Butterfly Top! So excited! I love every single piece, I’ve already ordered the beige butterfly top! I hope you love it!! Thanks Morgan! LOVE IT! Your clothes are beautiful, but for my lifestyle, your original Parcell line was more of a special occasion and not every day wear. Your new ever day wear is perfect for my lifestyle (mom of 2). The chunky knit cardigan is to die for! Hi Lex! Absolutely! So everything part of the Rachel Parcell Collection (so everything up to this point) is 100% designed by me. We wanted to add The Everyday Shop (which I specifically state are curated but not designed by me, but that I love) so we could add more casual, laid-back pieces at a friendlier price point! So The Everyday Shop is not part of the Rachel Parcell Collection, it just lives on the site in a separate tab. I hope that answers all of your questions!! But going forward as we add more pieces, everything added to the Rachel Parcell Collection will be same as before, designed by me. And everything added to the Everyday Shop won’t be. Does that make sense? Let me know if you have any other questions, I’m happy to answer! I definitely want you to be informed and feel comfortable purchasing! I never comment but I just have to say, well done! The collection is very cute and I like that you are catering to everyday pieces and budget. What I really LOVE, LOVE, LOVE is the models! Seriously! I am not a big girl but it is so nice to see how the clothing fits women of all shapes and sizes. And it is really wonderful to see a collection that is equally flattering all women. Thank you! Loving everything especially the anytime ruffle tee!! Isn’t it great?! Thank you! Thank you, Missy! It means a lot! LOVE it all!! 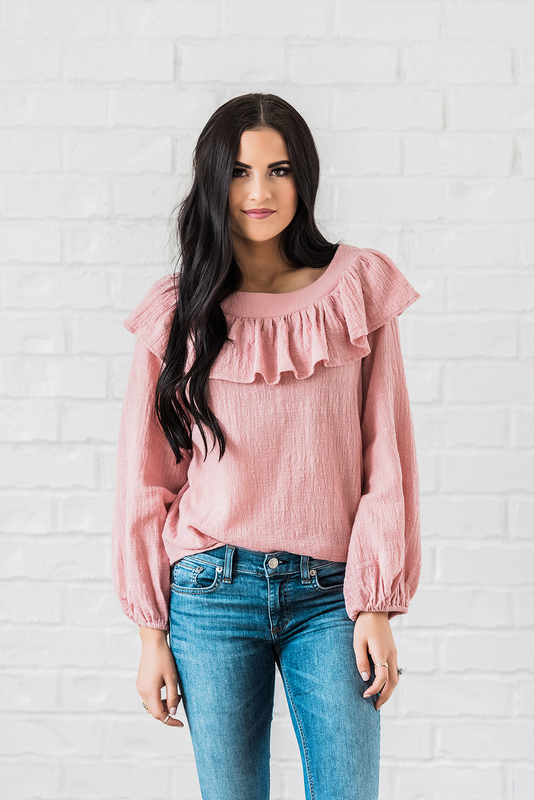 I have had my eye on the Rose Ruffle top since you wore it on your IG. I just ordered 3 pieces in Medium, praying thats the right size!! I looked earlier this morning, and while I was thinking the small size of the ruffle top sold out. You’re such a lovely girl. Love your style. Love your clothing lines! Thank you Lisa!!! I hope you love your pieces! These are all so lovely and you look beautiful in all of them. Love that they really are for everyday style. Thanks for sharing and have a wonderful day. Thank you so much, Amy!! It means a lot! Love your rpEvery Day Collection, nicely done. I also love to work with different fabrics for various craft projects I like to do for my children. However, I feel limited by the amount of fabrics available at the stores in my area. Any advice you can offer as to how to get access to more fabrics/textures? I just ordered the comfy knit sweater. It’s too perfect! I’m loving all of these items, but especially that blush t-shirt dress! These are all such versatile pieces! Congratulations on this new line! Love all the pieces. yay yay yay! lovely pieces, just ordered two shirts and I’m already checking the mail because I’m so excited!! Love this, Rachel. THANK YOU SO MUCH! Which two did you buy?! I hope you love them! Thank you so much!!!! I’m glad you like the new shop! I love the new line! Everything is gorgeous, but I am bummed to see almost everything I wanted to buy is already sold out in size small. How often will you restock? Darn it!! We are hoping to restock more soon, so keep checking back! Love those jeans and the cranberry Too! You are so stunning and these pieces look amazing! And I love how you styled them. Yesss! Those sweaters are to die for – they look so comfy and cozy! Can’t wait to shop the collection! All the pieces are gorgeous! When will the cozy sweater be back in stock? Hopefully soon! We’ve just placed an order for more! Love that you’re adding more affordable pieces to your line. Please restock the Misty Blue Rudfle top! And congratulations on the Everyday Shop’s success! 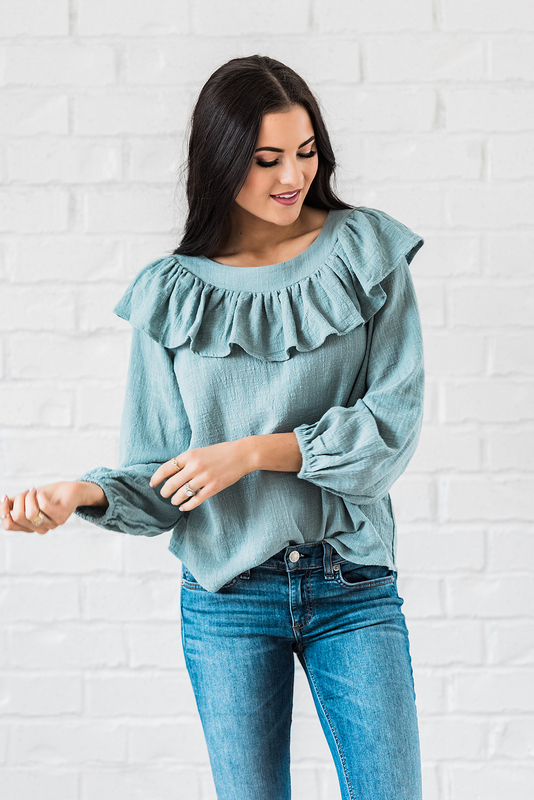 Love the ruffle tops – when will they be re-stocked? Your tops are just so cute and comfy! I guess I can get excited about fall now! I love your stormy morning sweater in your rp collection. will you be re-stocking size small?